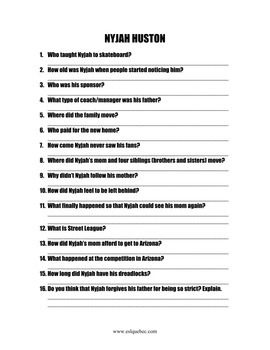 FREE VIDEO COMPREHENSION EXERCISES! GROWING BUNDLE!! 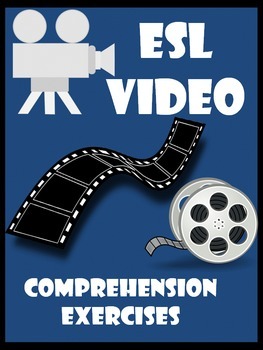 Comprehension exercises to accompany a great selection of short videos found at: www.eslquebec.com (under the PRACTICE tab). 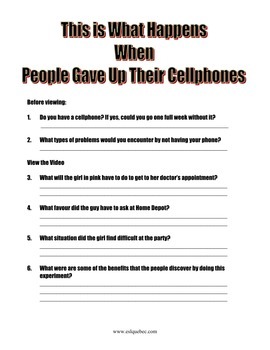 Video comprehension exercises will be added regularly. Buyers will be notified each time a new video is added and will be able to download the new edition FREE OF CHARGE. These videos are often suggested by my students themselves so they are sure to interest yours!